Welcome to Frontier Taxidermy located in the small town of Milford, Nebraska, just 17 miles South West of Lincoln, Nebraska. We are 3 miles South of I-80 off exit 382. 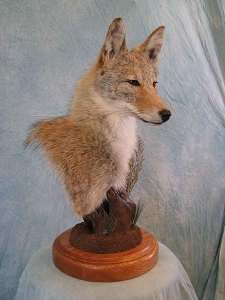 At Frontier Taxidermy I specialize in mammals of all species. 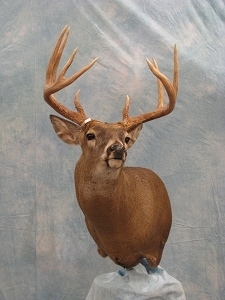 I have 22 years experience in a wide variety of North American Game consisting of whitetail deer taxidermy, mule deer taxidermy, black bear taxidermy, brown bear taxidermy, caribou taxidermy, dall sheep taxidermy, mtn. 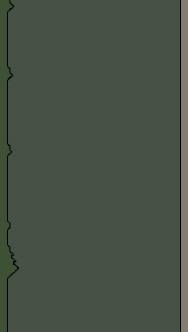 goat taxidermy, wolf taxidermy, wolverine taxidermy, badger taxidermy, raccoon taxidermy, lynx taxidermy and many more smaller species. At Frontier Taxidermy only the highest quality materials are used. I also take pride in everything I pursue, treating every piece as if it were my own trophy. My dream was to retire from the Air Force and open my own Taxidermist studio in the land of the Last Frontier. In pursuit of that dream I was also asked if I was interested in being a hunting guide for Alaskan big game, which I couldn’t possibly turn down. After 16 years in Alaska the dream started to become a reality. In the fall of 2004 I retired from the military and in the summer of 2005 I acquired my business license for the taxidermy studio I had always wanted. That fall my wife and two daughters flew back to Nebraska for a couple weeks to visit family and friends. In the time my wife was in Nebraska she could see that my parents were having difficulty with some health issues. My wife called me the day before she came home and told me the situation. We both made a mutual decision to quit our jobs, sell the house and move back to Denton, NE. My wife and children moved back to Nebraska first so she could find a job while I stayed in Anchorage to sell our house. Through all this moving around, my mother was diagnosed with cancer in September 2005. I sold the house and moved back to Nebraska at the end of October 2005. My wife had found a job so I became a stay at home dad since my youngest daughter wasn’t in school as of yet. My mothers health took a turn for the worst that winter and she passed away on New Year’s Eve of 2005. I’m very thankful I was home for those last few months with her. The following year my youngest daughter would be starting school so that spring I began getting all the necessary criteria together to have a Taxidermy shop open by fall. The fall of 2006 was my first year open in the state of Nebraska, I had done no advertising other than word of mouth. The amount of work I took in kept me busy for only a few months which was fine because we were really just getting settled in here in Nebraska. The following year I advertised a little more, mainly with my signs on my vehicle and in one local paper, my taxidermy workload doubled. I still try to return to Alaska in the fall for about a month to guide for moose, bear, and caribou. 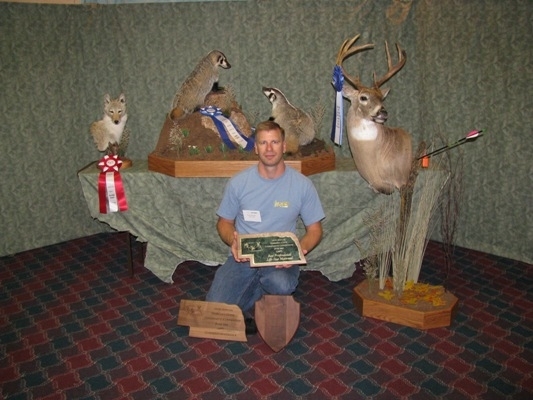 I am currently an active member of the Nebraska State Taxidermist Association (NSTA), currently holding the position of Vice President. To help better my skills I compete and attend seminars on a regular basis. I have won my way up the ladder to earn the title of "Master Taxidermist" in the categories of Whitetail Deer and Gamehead. Attending seminars is always a helpful learning tool and something I participate in year round and all the competitions I attend. When competing, there are four divisions to which individuals can enter. The four divisions are, Amateur, Professional, Masters, and Master of Masters. In each division there are different categories to enter, Whitetail, Gamehead, Fish, Bird, and Reptile. You can compete in any division to start out, however, as you win blue ribbons or best of category awards (Each state varies) you will need to advance to the next level. 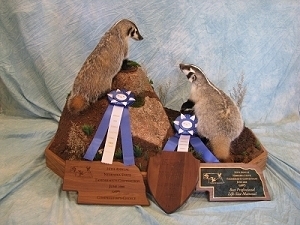 Along with the category levels there are other sponsored awards that are also presented, some conservation awards, habitat awards, and the Competitors award which is won by having the highest combined score of any 4 mounts entered.